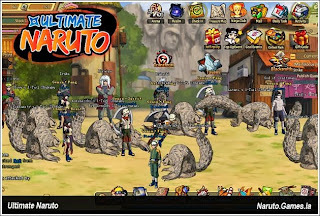 Combining anime-based plotlines, flashy combat and a pure Japanese anime style, the free-to-play browser game Ultimate Naruto gives players the chance to slip into the shoes of their favorite characters from the Naruto anime series and form their own path as an ultimate and powerful ninja. The Naruto RPG offers players an engaging gameplay experience, fan favourite storylines, cool social options, and even a chance to raise and nurture a powerful tailed beast. With a myriad of options and skills at their disposal, fresh faced Ultimate Naruto players may be wondering how to best boost their power and master their chosen Ninja School (Ultimate Naruto's class system).